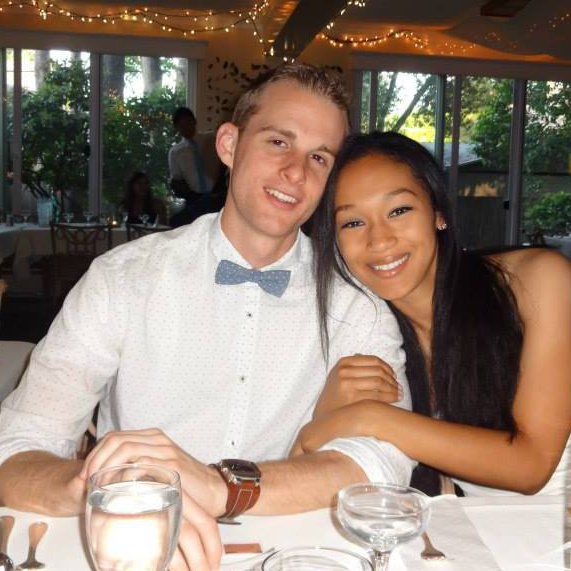 Please join Shanique and Trenton on December 5th, 2015 as we celebrate our wedding in Southern California. Trenton Hughes was born in Socal and spent much of his life in San Clemente, moving to San Jose at the age of 18 to study Business at San Jose State. He now works in Consulting and writes on the side. He loves basketball, the ocean and indie films. Shanique Flynn grew up in the Bay Area, spending much of her childhood in Pleasanton. She studied at San Jose State and works as a Graphic Designer. On the side she teaches yoga. She loves to being outdoors, yoga, and good food. We met in 2009, on the first day of college. We hit it off immediately, but it took some convincing by Trenton to get Shanique to go on a date. We have grown together, graduated college, studied abroad, found jobs and moved to beautiful Southern California together. We were engaged in September 2014, and now we're getting married!